While presenting a full lineup of Leica products, we at the Leica Store Tokyo Ginza also aim to comprehensively foster a photographic culture. That is why we offer consultations for repair and maintenance and many other services. We also delight in presenting you inspirational photographic art in our gallery. Moreover, we accept consultations for premium prints that are manually and individually prepared by craftsmen, providing a meticulous service for customers who desire photographs of the highest quality. The store's interior design stands in the proud tradition and progress of Leica and expressed the solid image of Germany and the relaxed atmosphere of Japan at the same time. All displayed Leica cameras are precision instruments and blend in with lifestyle. Along with their functionality, customers can delight in the beauty of the Leica cameras to their heart's content. When you look outside the store, the window glass renders life on the street almost like a documentary, and people walking along the street can correspondingly get a sense of the store’s interior as a part of their daily lives. Leica Store Tokyo Ginza is a duty-free shop. 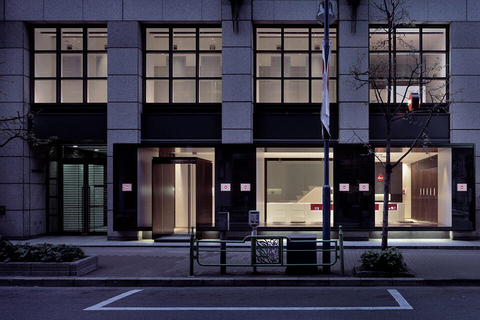 This store is located in Tokyo's Ginza district, a hub of luxury-brand boutiques like Maison Hermès Ginza. The district is also home to famous department stores, notably Ginza Mitsukoshi and Matsuya Ginza, the Imperial Hotel Tokyo and the Peninsula Tokyo.